Work has wrapped up on the original scope of the Lloyd Center remodel, however future phases will now include repurposing the anchor building formerly occupied by Nordstrom. The DJC reported that unreinforced masonry building owners are fuming over a mandatory seismic retrofit proposal*. Portland For Everyone interviewed “Surly Urbanist” Jamaal Green about building a pro-housing political alliance. The Business Tribune reported on a study that ranks Portland No. 21 out of 50 metro areas in terms of hardest cities to add necessary new apartments. 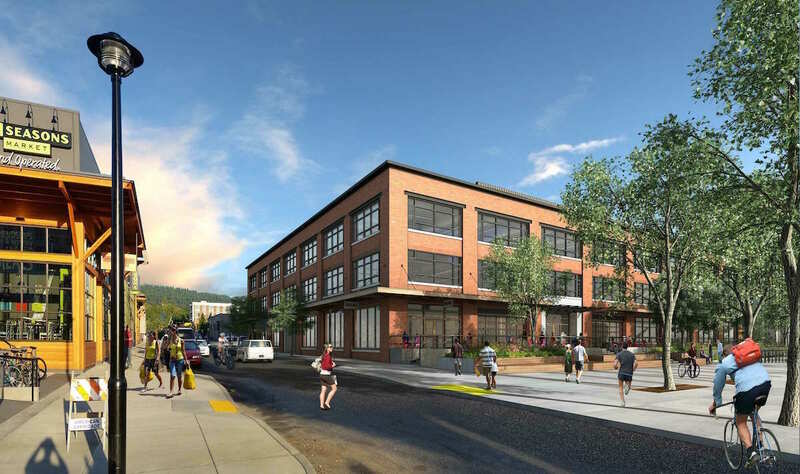 According to the Willamette Week, the Portland Housing Bureau will purchase a property at 3000 SE Powell Blvd, which could be developed into as many as 300 units of affordable housing. Oregon could “lose $80 million a year in federal housing funding in the proposed White House budget”, writes the Oregonian. The Hollywood Star News wrote about Laurel 42, the six story project with mechanical parking rising in Hollywood. The Business Tribune reported that Pearl West, Portland’s first post-recession office building, has been sold by its developer to LaSalle Investment Management. 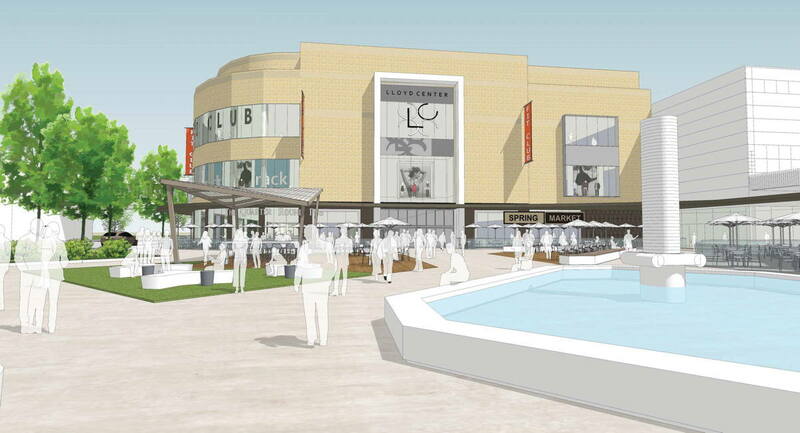 The Oregonian wrote about how the Lloyd Center Remodel is a lot bigger than originally planned. The new entry plaza and helical stair opened last week, but will be joined in the future by the West Anchor Remodel and East Anchor Remodel, where a new cinema will replace a portion of the space currently occupied by Sears. The DJC published construction photos of the Field Office, currently rising in Northwest Portland. The Oregonian reported that the developers behind the Convention Center Hotel will break ground on the project on July 14th. The Portland Business Journal wrote about how the Fair Haired Dumbbell is coming to artistic life. The Business Tribune covered the first historic review resource review hearing for the Portland Building. The DJC reported on Laurel 42, the new mixed-use building coming to the Hollywood District*. The Eastside Health Center at 122nd and Burnside will include two floors of integrated primary care, substance use disorder treatment, domestic violence counseling and wellness services, as well as on-site housing operated by Central City Concern. The projects are two separate mid-rise structures with a mixed-use program comprised of multi-family housing (approx. 200 units in each building), commercial and parking uses. Parking for approx. 240 cars will be provided in each garage structure. Approximately 170 units of affordable senior housing to be developed at SWC/ 124th & SE ASH ST, former TRI-MET park and ride parking lot. Project will be slab on grade with four stories of wood framing, presumably type V construction. Site parking will be incorporated at 0.25 per unit along with bike parking. Applicant is meeting Community Design Standards. Proposal is to construct two buildings on two separate tax lots. Each building with have 13 residential units and the buildings will be identical.There is no parking proposed on-site and it is not required as the site is close to public transportation. Because of the minimal area and slope of lot (20% or greater) a flow-through planter is proposed for the roof storm water. Each unit will have private decks and a common shared outdoor area. The developer’s goals are to meet all of base zone standards without any adjustment requests. The site area is in the regulatory landslide hazard area. 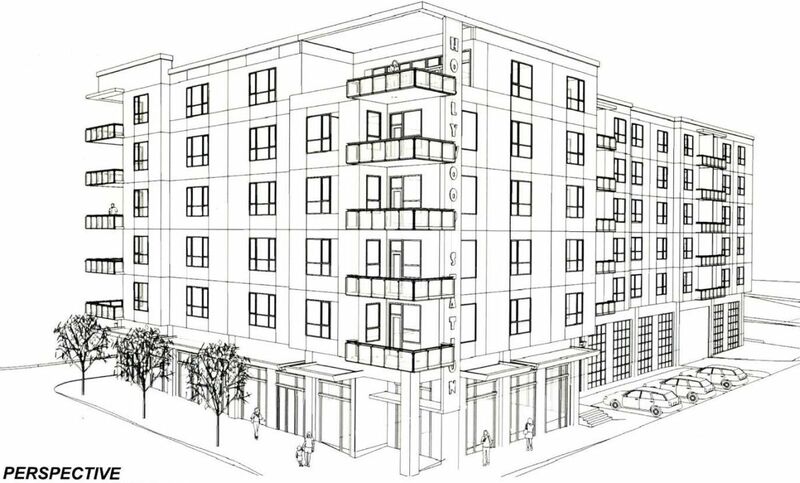 Proposal is for a 4-story multifamily residential development of 48 units total with ground floor retail (future TI). Support spaces for residential include lobby, management office, common utility spaces and bicycle storage. Exterior site improvements and streetscape upgrades on three frontages are also included in the project. Stormwater disposal will be via on-site drywells. Previous EA – 17-123133. The proposed improvements will increase development on campus by 107,726 sf from additional sq footage: build out the remaining 47,226 sq ft of shell space in Pavillion; re-purpose the former in-patient psychiatric facilities located in hospital north wing for other campus medical uses (results in no additional square footage); expand Nursing Tower by 50,000 sq ft to allow for larger inpatient rooms (increasing typical size from 110 sq ft to approx 300 sq ft per room – without adding add’l beds; construct a 10,000 sq ft childcare/daycare facility on the west end of the property north of Main Street; add a community garden (open-to-the-public) approx 58,000 sq ft in size (results in no add’l square footage). Proposal is for the eastside expansion of Providence Park to create a more inviting sports venue and to amplify the sound and energy created by The Timbers Army and fans throughout the stadium. The building will be a lacework of steel structure preserving connection to the neighborhood and inviting lights/views from all sides. Demolition of existing building and development of a new 4-story, 39-unit, mixed-use apartment building with 12 parking spaces. 10-unit apartment complex with private drive. Early Assistance to discuss construction of a two-story office building (9,900 SF), one-story warehouse (4,800 SF) and associated site improvements including paving, fencing and landscaping. 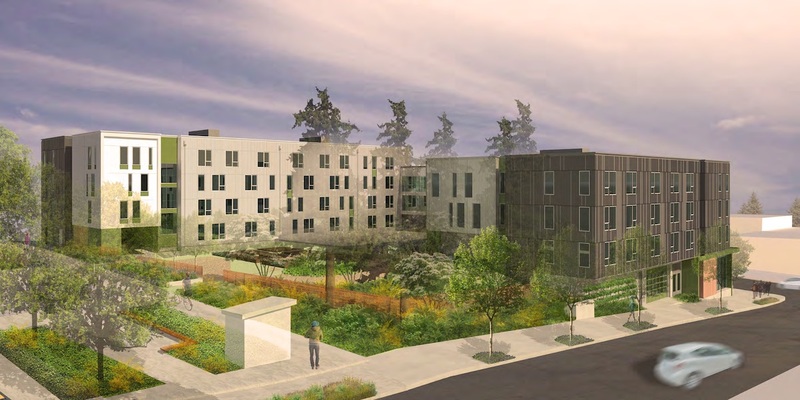 New 36-unit design within the East Corridor Plan District, with onsite stormwater disposal. Parking provided. Pre-application conference to discuss a new mixed-use building (office/retail at grade w/parking behind @ 4′ below grade w/2 floors office lease space above. Project includes rooftop penthouse, deck, and greenroof. New 5 stroy mixed use development, 66 apartments, 19 parking spaces. Modifications to Bike Rack Spacing & Loading Space. Additions on east and west elevations of existing church, remodel of existing building. Expansion of parking lot, new landscaping and stormwater facilities. New 120 sq ft trash enclosure. Construct new 12 unit apratment buidling 3 story. LRS Architects have scheduled a Pre-Application Conference to discuss Hollywood Station, a mixed use building with 100 residential units. 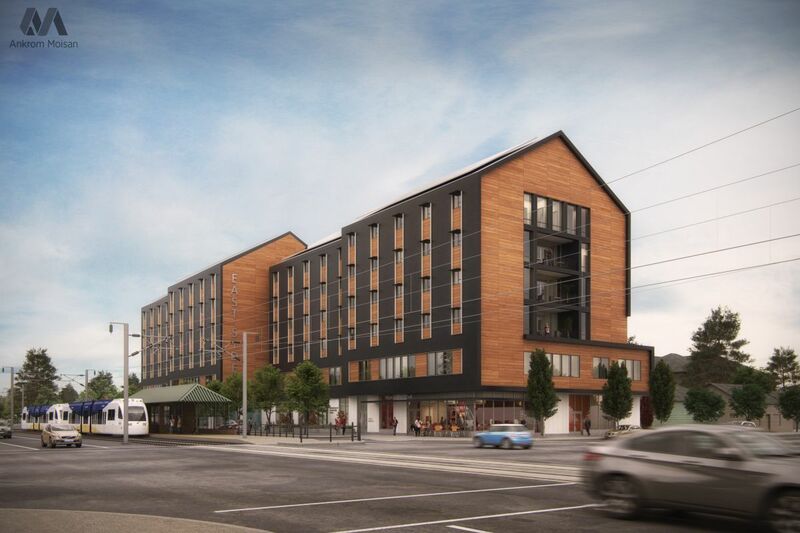 The building would include a retail space facing onto NE Halsey St. Mechanized parking for 56 cars is proposed. The St Francis Park Apartments by MWA Architects, which will include 106 units of affordable housing. Remove existing one story building and build new two story building adding 150 ft drive thru which will enter on SE 106th ave and exit on to SE division. Proposed 5-story apartment building with underground parking. Early Assistance – Planner only – to discuss the construction of a three story building with associated site improvements at MHCC Maywood. 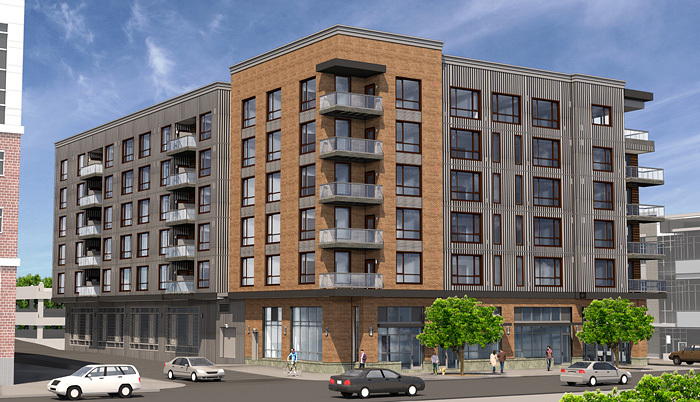 Proposing a mixed-use building with ground floor retail and 6 multi-family units at the first floor plus 8 floors of multi-family apartments and underground parking. 100 unit apartment building proposed on the NE corner of the site. 4-story multi-family apartment building. Please note there is a concurrent review happening for a Amendment to LU 13-102007 LDS, with an adjustment to minimum lot dimensions and a lot consolidation. That concurrent case is LU 16-132893 AS, LC, AD. Design review for new 29,000 sq ft 3-story building which will include offices, community gathering spaces, and ground floor office lease space. Modification request to loading standards. Modification request to on-site locations of vehicle areas. new 4-story, 72,055 sf, Type VA, 106 unit apartment building including improvements in vacated SE Oak St to meet superblock requirements. New 3 story apartment building with 6 units, 50 sq ft detached trash enclosure, associated site work. North building, 1 of 2, **w/ 14-255316-CO**.